On the 24th of January a new exhibition will be opening, celebrating the design of Ladybird Books through ‘the golden years’ of the 50s, 60s and early 70s. 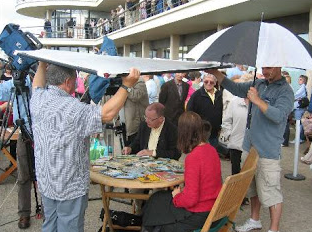 The exhibition will be held at the De La Warr Pavilion in Bexhill-on-Sea and opens on the 24th January 2015. It will run until 10th May. 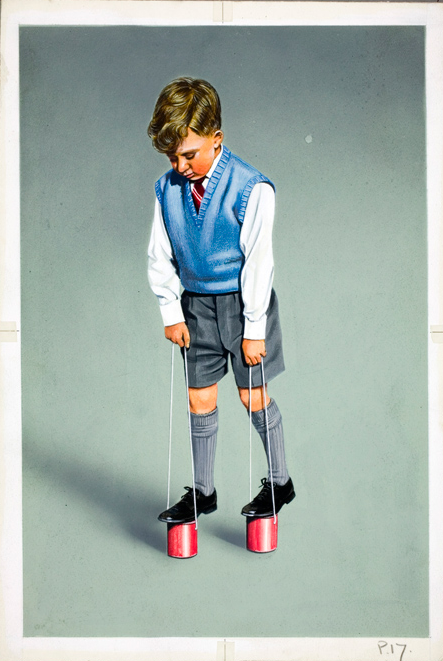 The exhibition organisers have decided to divide the exhibits into ‘themes’ (rather than merely follow chronology) and there will be lots of original Ladybird artwork on display, illustrating these themes. I know that Douglas Keen’s daughters have generously contributed various artifacts, including the lovely ‘prototype bird book’ that you may have seen discussed on the BBC4 Timeshift documentary. I’ve been involved in a minor (if time-consuming) way – providing a little info and a lot of pictures for the book (assuming they get used). For the exhibition I’m loaning a stack of books – around 600. I’ve picked out nice copies so, although I’m sure the DLWP team have effective processes for ensuring that loans are returned to their owner in the same condition as they went out, I’ll be pleased when they’re safe home again – something every collector will understand! 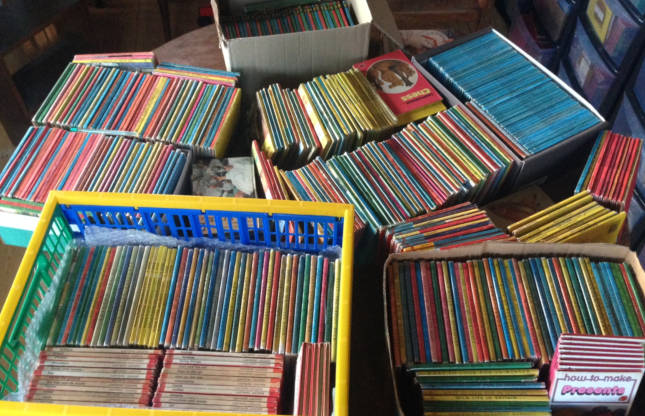 Perhaps one day there will be an exhibition on Ladybird Books put on north of the Watford Gap … but that’s another story. 100 years … of what?